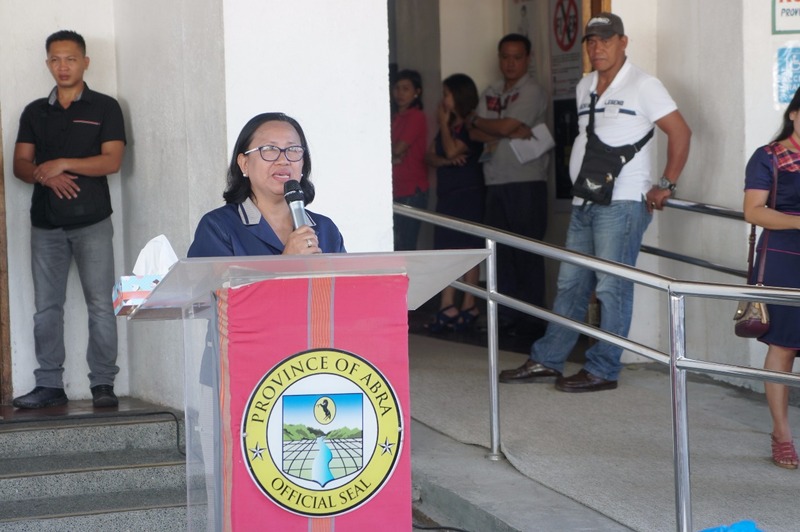 During the first monday flag raising ceremony for the month of August, NFA-Abra Manager Elizabeth Kai informed the Provincial Government of Abra that the National Food Authority-Abra already has enough rice stocks for the province. Ms. Elizabeth Kai also said that the mandate of NFA is to stabilize price and supply of palay (unmilled rice) and rice, and they will not allow farmers to sell their products under P17 per kilogram. She also mentioned that they already started releasing to 12 Inside The Market retailers and 22 Outside The Market retailers for the Municipality of Bangued. She also stated that price for consumers are on P27 per kilogram and P32 per kilogram or P1,600 per bag for LGU’s and government Institutions. Ms. Elizabeth Kai also urged other public servants to help the NFA to instill social responsibility among our Abrenian farmers and continue the delivery of rice stock at NFA-Abra.